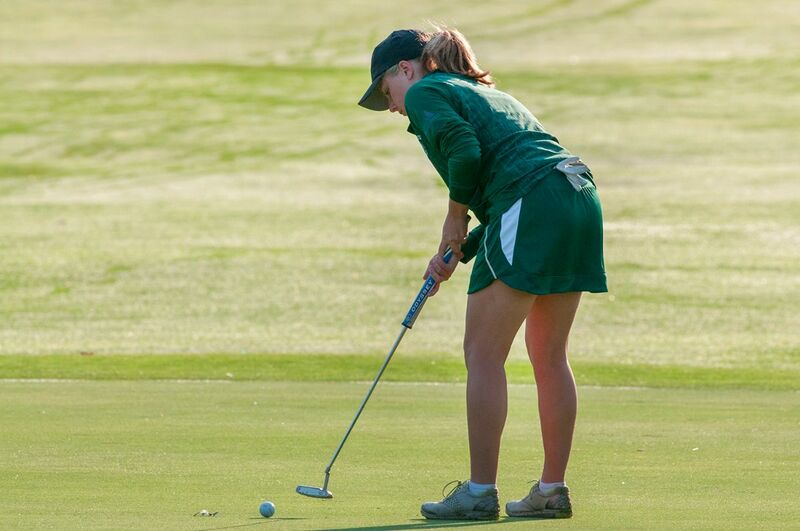 The Bemidji State University women’s golf team concluded play at the Southwest Minnesota State University Spring Invitational at Wigwam Resort Heritage Golf Course in Litchfield, Ariz. in mid March. The Beavers finished sixth out of six teams led by freshman Joleen Werden who tied for 29th individually after shooting 173 over two rounds. As a team, the Beavers totaled a two-round score of 715 (+139). Lindenwood University took the team title after firing a team score of 616 (+4) followed by SMSU in second (637, +61) and University of Nebraska-Kearney in third (639, +63). Behind Werden (89-84, +29) was sophomore McKenna Blaine who competed as an individual and shot 178 (96-92, +34) to tie for 31st. Freshman Lauren Stockmoe (92-86, +34), senior Katy Woelfel (90-91, +37), junior Peyton Miller (94-90, +40) and freshman Elise Stockmoe (92-101, +50) compiled the Beavers’ five scores. Lindenwood’s Reagan Snavely took the individual title with a +7, 151 (75-76). Her teammate Josefina Haupt took second at +9 (77-76, 153). Bemidji State will next be in action this weekend in Council Bluffs Iowa.